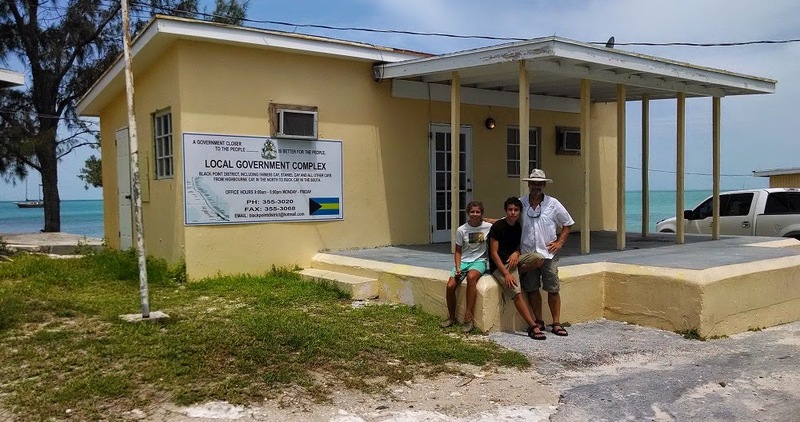 Cash, Dad, and I at Black Point's "Government Complex"
Black Point Settlement on Great Guana Cay in the Exumas is known for its expert straw weaving. It’s a small community of about 300 really nice people, many of which make a living by doing this exotic craft. 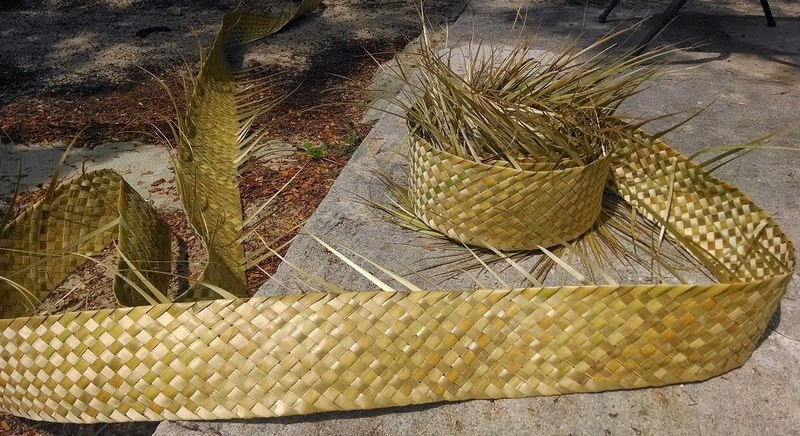 The weaving is called straw work, but it’s actually made using Palmetto fronds. 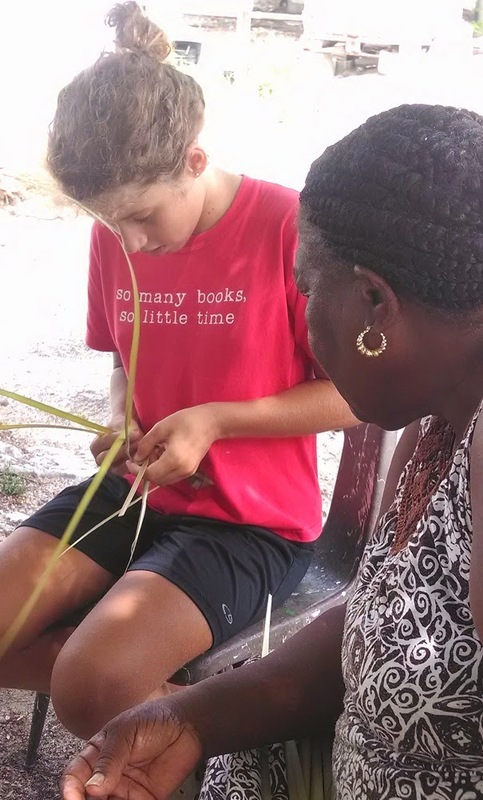 Straw weaving is also called plaiting. 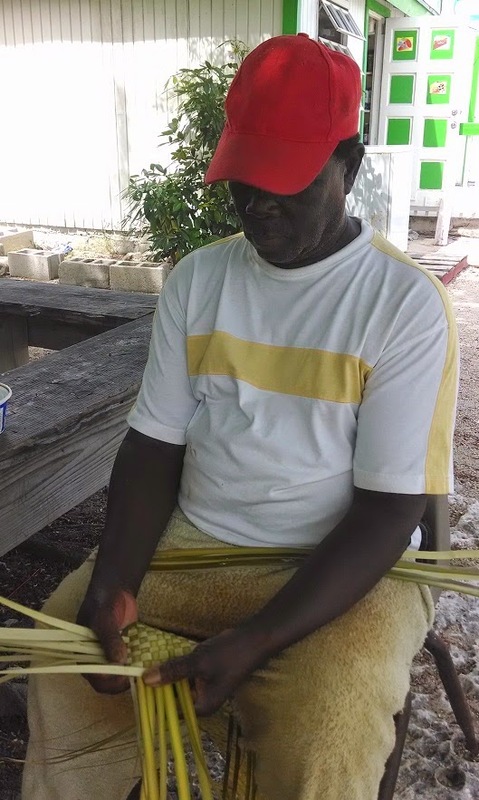 The locals weave large rolls which are sold to people in Nassau who make baskets, hats, purses, and other items. The rolls are about six inches wide and the length is measured in fathoms. A fathom is a very old nautical unit of measurement that is equal to six feet. 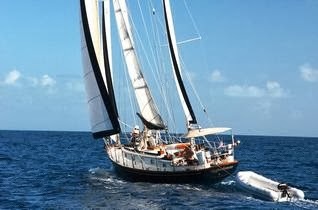 Most people can weave three or four fathoms per day, and they sell the roll in a 30 fathom length, which is 180 feet. to start them on my own. It took me a couple tries and a few minutes of experimenting, but I got it in the end. 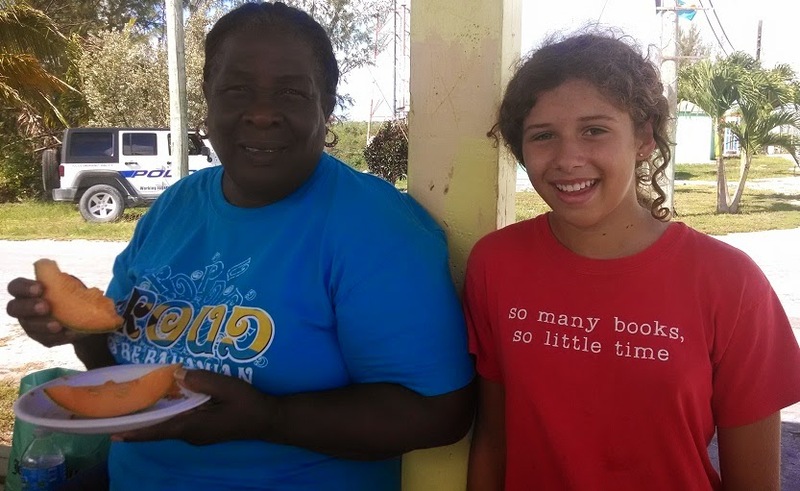 It was very hard to understand what Corrine was saying because of her thick Bahamian accent, so most of the time she had to demonstrate the steps. 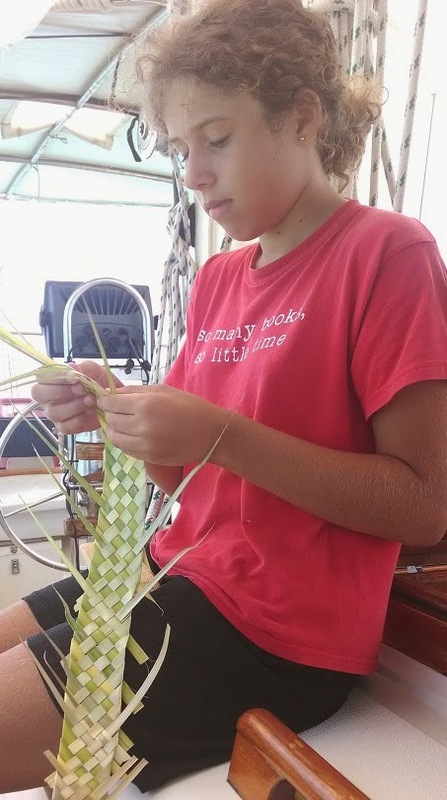 I really love weaving, and want to keep doing it. 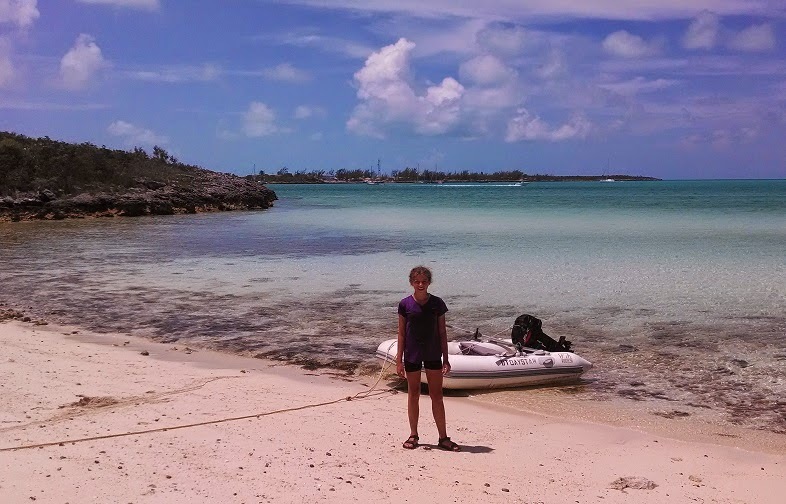 My mom and I dinghy-ed over to a remote beach to gather more fronds so that I could weave more. 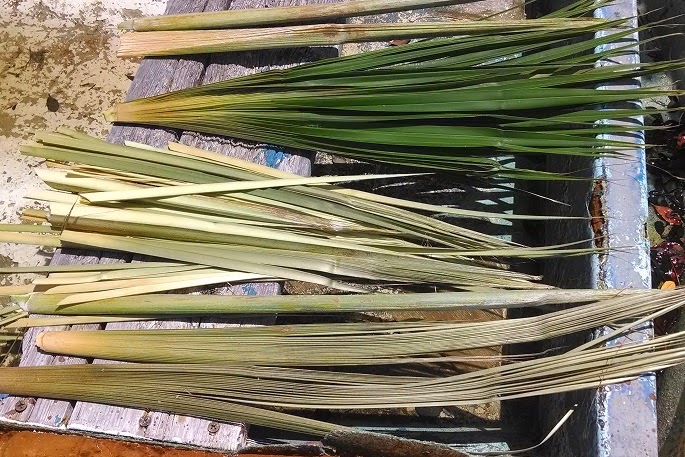 The fronds grow up from the middle of the Palmetto trees in bunches and eventually become the individual sections of a single palm leaf. 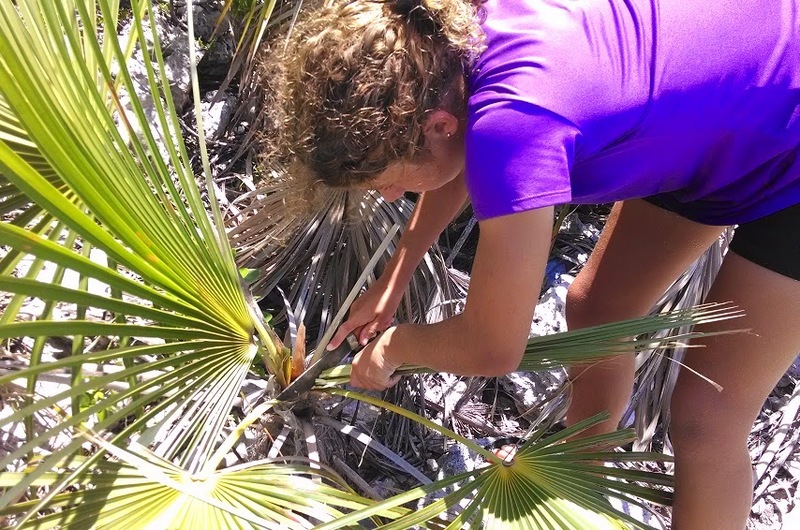 To gather the fronds, we cut them out with a knife. 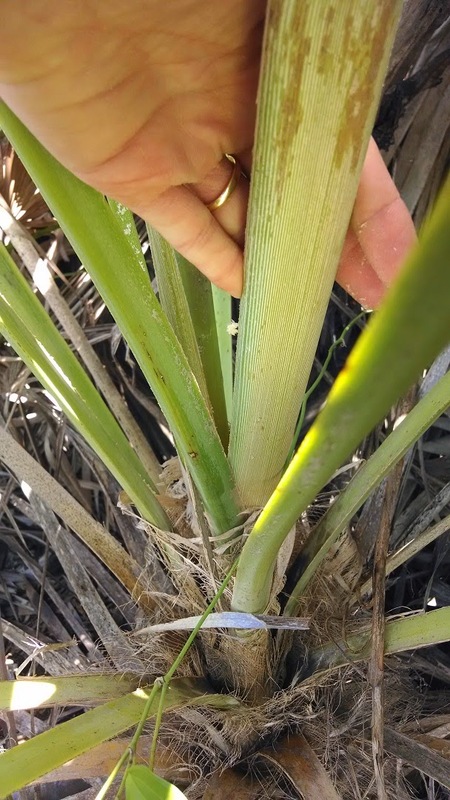 I had to separate the individual fronds by pealing them apart. 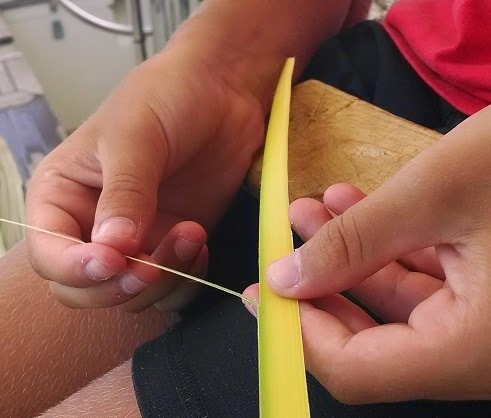 Then, I had to cut off the edges because they are harder than the rest of the frond. 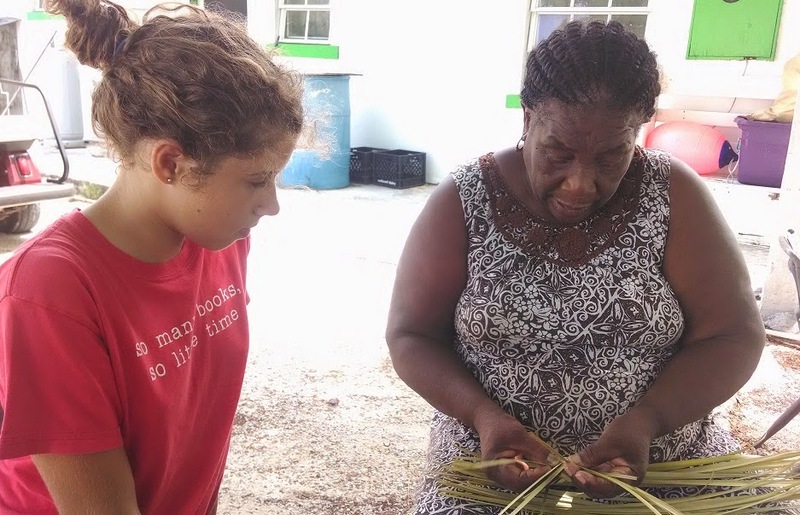 It was very nice of Corrine to teach me to weave, and I am very grateful for her help. It’s very fun to do, and, in a way, calming. 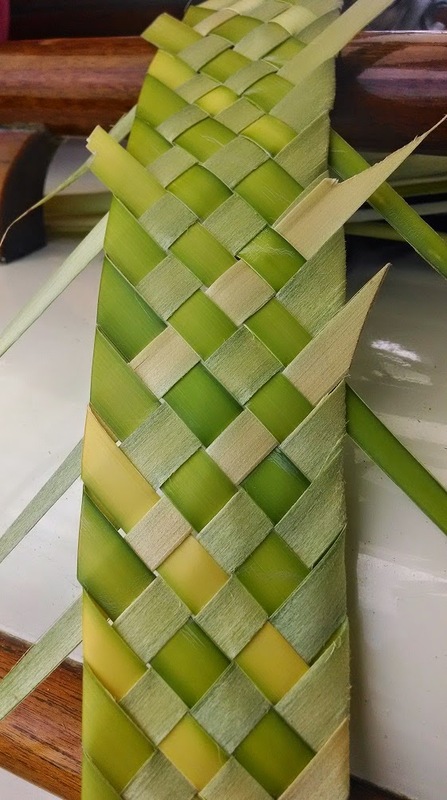 I even taught one of my friends to weave. I have woven about 14 feet in total so far.